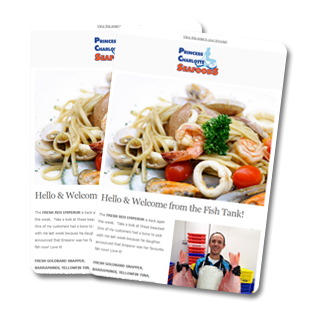 GET THE LATEST FISHMAIL DELIVERED STRAIGHT TO YOUR INBOX! A FISHMAIL with all the details of what fresh produce has been sourced is emailed to our subscribers twice a week. Included in this are free recipes, cooking tips, monthly product promotions and market times and locations where you can find us.